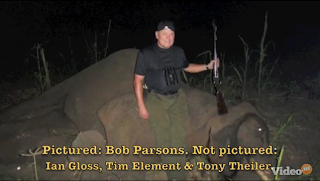 PETA has discovered that recently on a trip to Zimbabwe GoDaddy.com CEO Bob Parsons killed an elephant. This was done for pure sport! What an arrogant and despicable man. 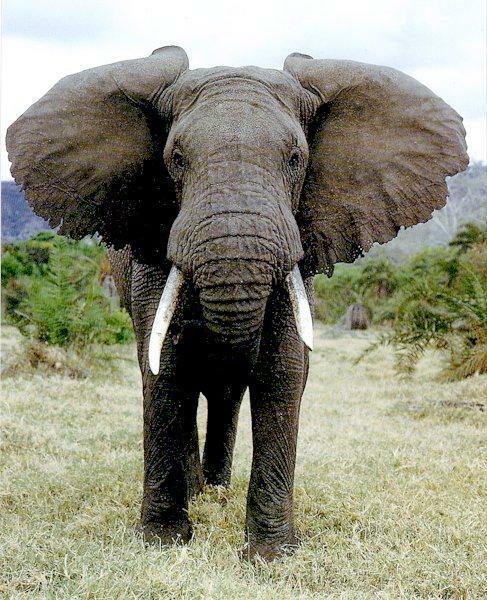 Elephants are a threatened species. His excuse that this was done to protect the villagers is absurd. Hey Bob instead of stroking your pathetic ego and murdering a majestic, intelligent, gorgeous African bull elephant in cold blood with your high powered rifle you could have taken some of your vast personal fortune, estimated at $200 million USD by celebritynetworth.com, and built a fence around the village or found another solution to the alleged problem the elephants were causing. Not to mention the fact that this is the elephants natural habitat - their home. The truth is that Bob Parsons wanted to satisfy his blood lust by killing a defenseless creature that was unable to fight back against his lethal weapon. He is a very insecure man with an utterly cold heart. You are in spiritual darkness Bob Parsons! Repent of your great evil, turn to Christ and renounce your Satanic ways. Instead of using his wealth to do good he is hunting down innocent elephants! "Each year I go to Zimbabwe and hunt problem elephant. It's one of the most beneficial and rewarding things I do. This video shows a typical day of this year's trip. I just returned home today March 14, 2011." Wow so he feels compelled to do this every year?! Parsons is a very disturbed man. According to the video this is the second consecutive year he's done this. Parsons is so eager to kill! He wants to make sure the elephant is dead! Tries to minimize his crime by saying only one was hurt. Revolting! Look at his smug expression!!! Note that in the photo of Parsons standing over the dead elephant he actually has a smile on his face! How sadistic. If you look closely you can see a stream of tears coming from the right eye of the elephant. :( If Parsons prime motive was helping these poor villagers he could have done so without murdering this elephant. Instead of making water wells, providing permanent shelter, donating seed for crops, making a seed barn, giving the kids OLPC computers, giving out loans to help the people start their own businesses, building and staffing a hospital or any other of numerous ways of helping he chose to instead kill a defenseless animal! So his flimsy justification for this barbaric act is pure rubbish. "A righteous man cares for the needs of his animal, but the kindest acts of the wicked are cruel." Elephants have an extremely close family unit. Numerous elephants will deeply mourn the murder of this beloved family member. Elephants would never abuse their children as human parents have done so many times. An elephant mother would not hesitate to sacrifice her own life to save her children. I recall watching a news report about a case in India where a baby elephant was killed by a train. So profound was her loss that the next day at the same exact time when the train was due to pass by the mother of the slain child rushed forward and derailed the train, she sacrificed her own life to get justice for her dear baby! He looks like a typical adrenaline junkie so this is not surprising. People need to eat. They kept their crops, and got a nice cut of meat. People have been hunting since the dawn of time. That this rich guy does it so people can eat is admirable. Anonymous you need to get a clue. Bob Parsons flew over to Africa so he could go and shoot an elephant. This man has a fortune of $200 MILLION!If he wanted to protect their crops he could have just built them a nice modern fence. His "solution" was only temporary, so the next time an elephant comes onto the crop lands should they just keep killing every elephant? He had the means to provide a permanent solution and chose to not do it. Also as is evidenced by the photos this is a man who takes pleasure in killing, he is very self-pleased and takes pride in his murder of this creature with his high powered rifle! He did not do this so people can eat. You really need to work on your reading comprehension and critical thinking skills! He has a fortune of nearly one quarter BILLION USD! He could have bought them enough food for an entire year if he wanted. Bob Parsons is vile and so is anyone moronic enough to defend him. @Aler Indeed, this is due to man's fallen sinful nature. What's the villagers' opinion? If they agree to shoot the elephant so that they will not starve to death then Bob did not do a bad thing. @Henry Hi. The villagers should respect life. These villagers are very poor and uneducated. People are sinful and will often make a selfish decision. As I said this could all have been avoided since Bob Parsons is very rich. He didn't *have* to murder this beautiful, noble elephant. It wasn't a zero sum game. He did this because of his own ego and psychological problems. Parsons could have bought them an entire years worth of food if he wanted! The solution is to invest in sustainable agriculture and find non-lethal ways to deal with indigenous wildlife. There's a very close link between starvation and the bushmeat trade. 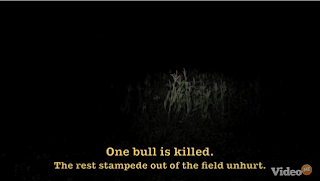 All Bob has accomplished was hunt and kill an endangered animal, feed the farmers for ONE day, pissed off the rest of the elephants enough that they will return (they're hungry too) but with more aggression and violence (they never forget) thus escalating the conflict and the farmers' problems. Bob is an ignorant deluded man. He is kind of stupid. A fence is indeed the best solution, because killing an elephant is just a temporary thing, until the next one comes - which means it has nothing to do with securing the people. So I agree to your statement, he just seems to want to satisfy his killing wishes. Bob makes out like he was doing them a big favor. If he really wanted to help the people in Zimbabwe he would help start something sustainable like COMACO has done in Zambia. They've figured out the best way to save Elephants and wildlife while helping people learn skills to earn money and feed themselves - check out http://www.itswild.org and this youtube video: http://www.youtube.com/watch?v=YjFfRAtZ83c - pass this on to help focus attention towards an organization that deserves it rather than giving Bob more of the attention he craves. This is really Dave Moyer. For some reason I couldn't post under my own name. Zach, you've been listening to PETA too long. First of all, elephants in Zimbabwe are not really terribly endangered. They are Appendix 2 endangered, meaning that their population is controlled by government. They are actually allowed to sell a certain amount of ivory and hides and meat every year as they control the population. They have so many elephants in some areas that there isn't enough food for them. Now they could have park rangers kill the excess elephants, but it is better for the country's economy to let people who get a thrill out of hunting pay exorbitant amounts of money for the privilege of hunting these animals. The rush in hunting big game like elephants is that you can get hurt or killed if you screw up. BTW, elephants don't have the kind of family structure you proposed. Females and female calves stay together, but bulls roam in packs with dominance deciding which elephants get to mate with females they come upon. Finally, tears in the eye of large animals is not a sign of sadness and crying. It is a natural function for tears to flush dirt from the eye and run down the face. A human would wipe away those tears, but elephants and cows and deer aren't equipped to do so. Go visit a farm or zoo sometime. Why not apply your logic to deer or antelope or wild goats or wild boars? 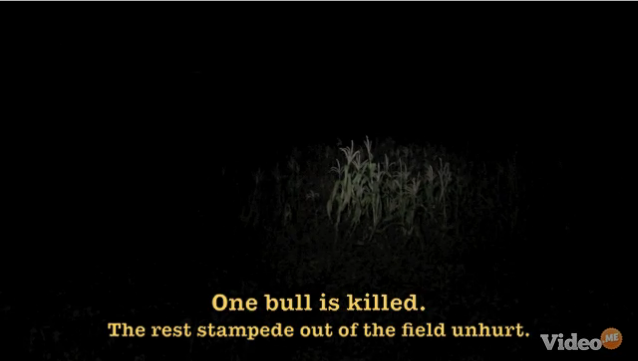 Animal herds are better off when populations are controlled so that they don't do too much damage to crops, etc. and so that they don't outgrow their food supplies and suffer from malnutrition. That is the premise of nearly all hunting programs in this country and probably throughout the world. When I shoot my deer every year I am helping the population of deer, farmers, automobile drivers, and feeding my family. I could feed my family without the venison, but it helps with the budget to have it. Ditto when a hunter kills one of the allowable number of excess bull elephants- people got food, somebody got cash for the ivory, and crop damage was reduced. You can't fence in enough land to stop the elephants without blocking all the other wild life. You are entitled to your own opinion, however. Those of us who farm and hunt understand that wild animals must controlled and hunting is a viable means to do that. I have had websites on GoDaddy since 2002, and recommended others. I am politically conservative, never a bleeding heart liberal, and worked on designing the last two nuclear power plants built in this country, over 35 years ago. I had a brother serving as a sniper in the Middle East for the Army, and think favorably of Parsons' presumed service as a Marine, all of which I think fine. I have never taken a public position on any animal "rights" issue in the past. Watching Parsons' slaughtering the elephant "to save the sorghum crop" is horrendous. Watching the villagers butcher the carcase with rock music blaring in the video, wearing GoDaddy hats compounds the offensiveness. Parsons should show what a man he is by helping others, including animals, not trying to destroy them and gloat over it publically. I would not recommend GoDaddy again to other website owners, and will find out how to pull out our websites, presently with long-term committments to GoDaddy. This is a trophy that Bob Parsons won't be proud of for long. It could be a $1,000,000,000 elephant trophy, depreciating the value of his business, and ruining his reputation. 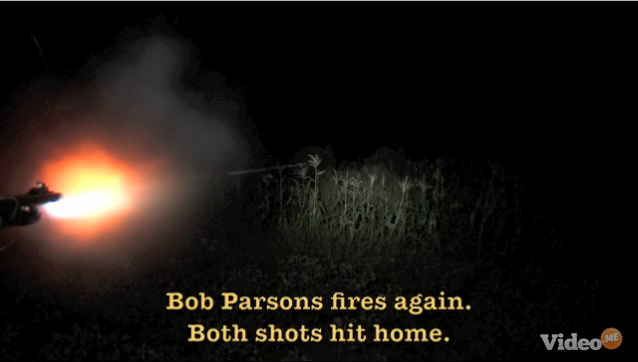 Hopefully this slaughter can be a life-turning event for Parsons. Maybe he will learn to use his resources for good. Public repentance would be appreciated too. This is also the time for Mozambique to show the world that it can apply laws to criminal acts of poachers, if there are any. At least to deter the "recreational" poaching of wild life. I've been with GoDaddy for YEARS. This was a really sadistic act by Bob Parsons and I cannot support his company any longer. The government of Zimbabwe is one of the most corrupt in the world, and people like Parsons are propping it up with their immoral trophy-hunts. 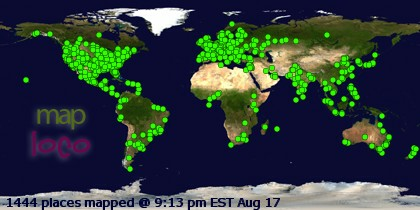 Windows firewall is the best “social network” tool. Block any “internet contact” with “godaddy.com” and Bob Parsons, a notorious premeditated elephant murderer. Run C:\Windows\SysWOW64\en-US\WF.msc (or simply WF.msc) to open “Windows Firewall with Advanced Security”. Click on "Inbound Rules" then from "Actions" select "New Rule". Name this inbound rule “elephant killer” and create an identic outbound rule; if you know other IP ranges making business with Bob Parsons please make them public. 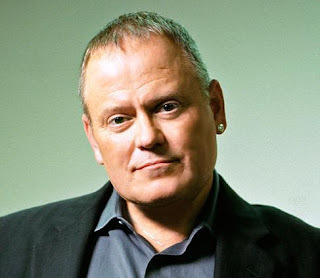 I used to be a fan of Bob Parsons till I heard this story. It is just sickening. I will now close my GoDaddy account and never use their services again.